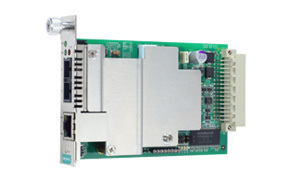 The CSM-400 modules are slide-in Ethernet-to-fiber managed media converters for the NRack System™. The modules provide media conversion from 10/100BaseT(X) to 100BaseFX (with SC/ST connectors), and can be installed in any NRack System™ chassis. The CSM-400 modules support LFP and FEF for easily tracing network link failures, and support store-and-forward and pass through modes, 802.3AM OAM for remote management and monitoring, as well as WDM-type fiber modules to reduce fiber cable cost.